World Cup - 1st, Kreischberg, AUT, 2013. Laura Peel came to her sport as a strong skier and gymnast, thus providing an ideal base for Aerial Skiing when she began international competition in 2009. By 2011 entered the World Cup season for the first time making the final 12 at her second event and backed up increasingly strong results with 11th place at the 2011 World Championships in Deer Valley. 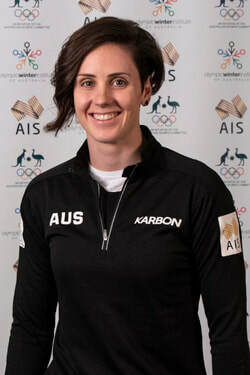 In 2012, Laura became the fifth Australian female to win an Aerial Skiing World Cup, claiming victory in Kreischberg, Austria. She continued her success in the 2013 season adding a further two world cup medals. By now a strong contender at any event, Laura Peel competed at her first Olympic Winter Games in Sochi in 2014, finishing in seventh place. In 2015, Laura became the fourth Australian Aerial Skier to win a World Championship, taking gold in Kreischberg, Austria. She was also jointly awarded as the Ski & Snowboard Australia Athlete of the Year with Scotty James (Snowboard Halfpipe). After missing the next season because of injury, Laura Peel returned in great shape for 2016/17, immediately making the top 12 once again and continued to strengthen each event. At the final World Cup in Moscow, Russia in early 2017 she returned to the podium with a bronze before competing in the World Championships where she placed 8th. In 2018, Laura hit form at the perfect time ahead of the PyeongChang 2018 Games securing back-to-back bronze medals at the Lake Placid World Cup just weeks out from her second Olympic appearance. In PyeongChang Laura was the highest placed Australian Aerial Skier, just missing the podium in fifth place. Favourite international competition: I’ve competed in Austria twice, and both times I have walked away with a Gold medal, so I think that has to be a favourite! Favourite Food: Guacamole and chips! My Hero is ….. I am inspired by many sporting and nonsporting humans!